Isn’t it surprising how much stuff you accumulate over the years? You’ll soon see that it’s usually more that what you thought it’d be and that your house is never big enough for all of it. One thing you can do is to install the Saferacks Storage Kit Steel Overhead Rack in your garage. 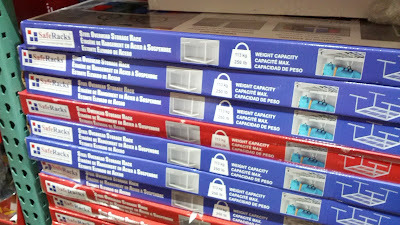 It’ll give you more space without having to spend a lot of money expanding your house. The space above in your garage is usually free space that goes unused anyway, so you might as well make use of it. 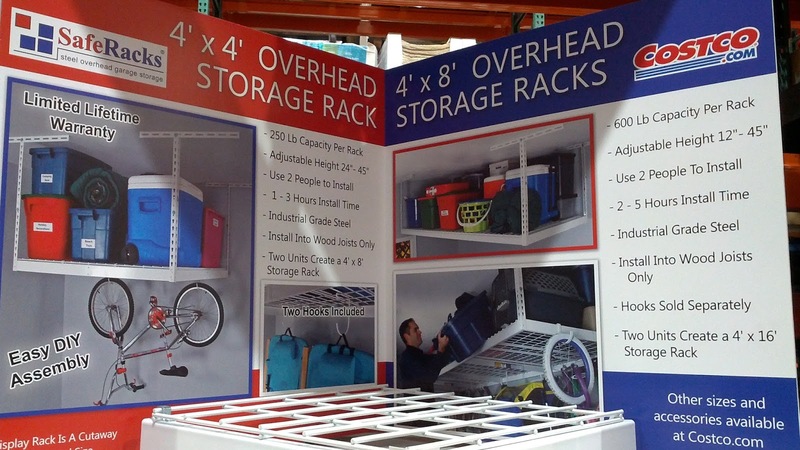 When you’ve installed these steel shelves in your garage, you’ll see how much space you were able to save. The best things to store here are usually the bulky items that you only use every so often like large coolers, luggage, camping equipment, boxes of Christmas ornaments, Halloween decorations, snowboards/skiis. You could even hang your bike here since it does come with 2 hooks as well. What’s great is that you could even get 2 of these kits and combine it to make a larger shelf. It’s just so practical to have these shelves for your garage since it’ll reduce the amount of clutter in your house and give you more space. 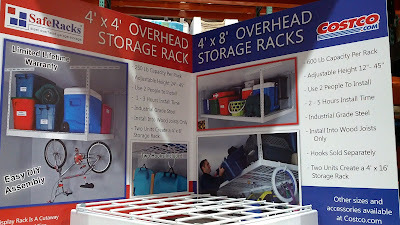 If you don't have additional overhead storage, then maybe some commercial shelves for the side of the garage would work. 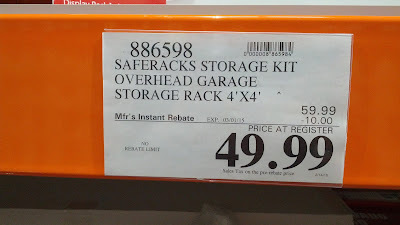 Saferacks Storage Kit Steel Overhead Garage Rack allows you to reduce clutter. Adjustable height 24" to 45"